Best Buy announced this morning that they will hold another 1-day deal for the Samsung Galaxy S3. 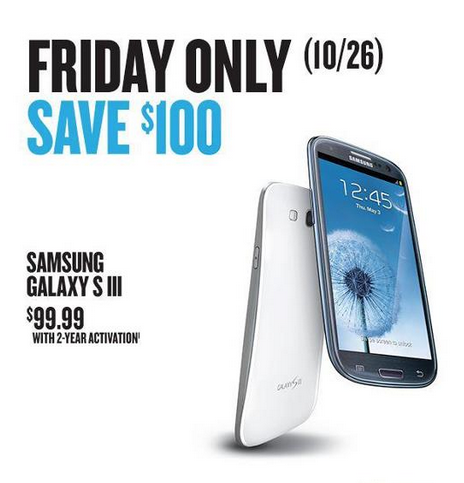 Tomorrow only, October 26, you can stop by any Best Buy store across this great country, and grab the GS3 from Verizon, AT&T or Sprint for $100 less than normal. In the press note, it mentions the 16GB model as being a part of the deal.